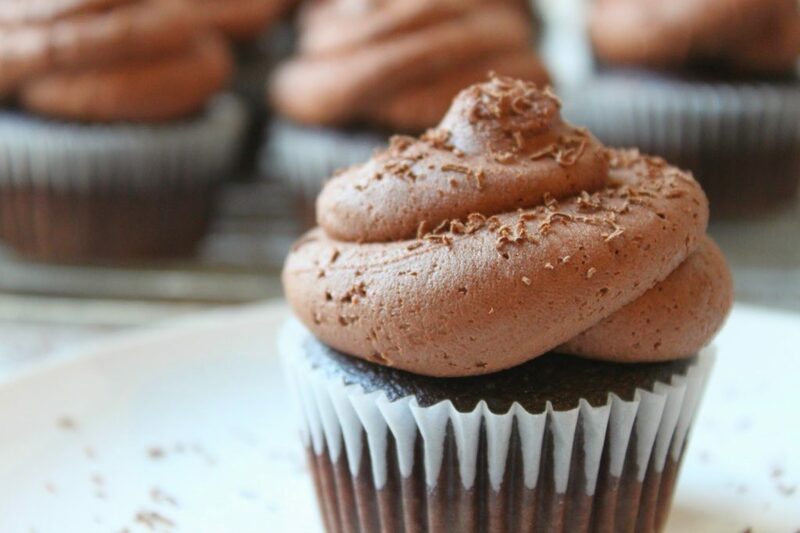 This chocolate cupcakes recipe makes moist, flavourful cupcakes topped with dark chocolate buttercream frosting. The rich, indulgent cupcakes make the perfect dessert for any occasion! Okay, it’s time for some honesty: I’m actually not a huge chocolate fan. I mean, I enjoy a little bit of chocolate now and then, but I’m definitely not one of those lock-yourself-in-the-bathroom-so-you-can-eat-a-piece-of-chocolate-without-your-toddler-asking-for-a-bite chocolate fans. But these cupcakes? Oh my. 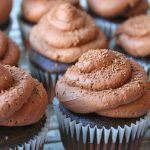 The chocolate cupcakes recipe is so easy to make and the cupcakes are so delicious; sweet but not too sweet, and oh so rich and chocolately. Good thing the recipe only makes 12 or we’d be in some serious trouble. 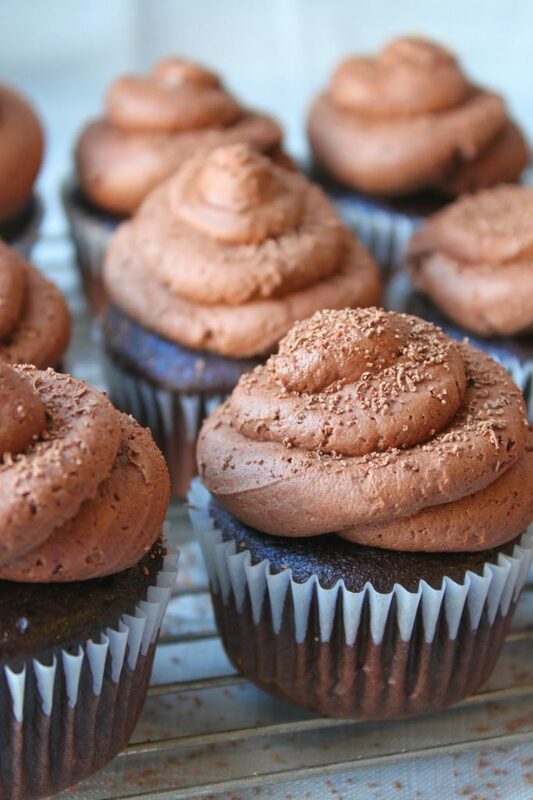 Like the look of this chocolate cupcakes recipe? You’ll love these delicious Dairy-Free Coconut Lime Cupcakes or these Peppermint Chocolate Cupcakes! 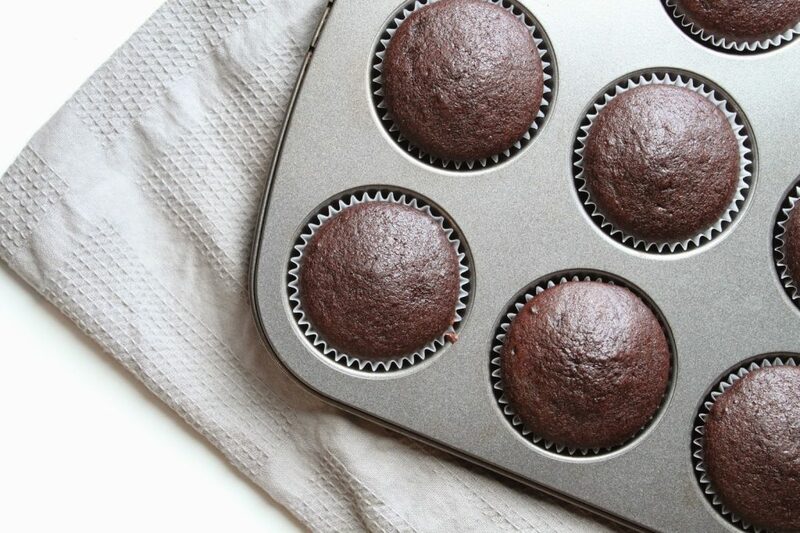 What are the ingredients of chocolate cupcakes? This chocolate cupcakes recipe was inspired by my favourite vegan cupcake recipe found here, and the dark chocolate buttercream recipe is my own. 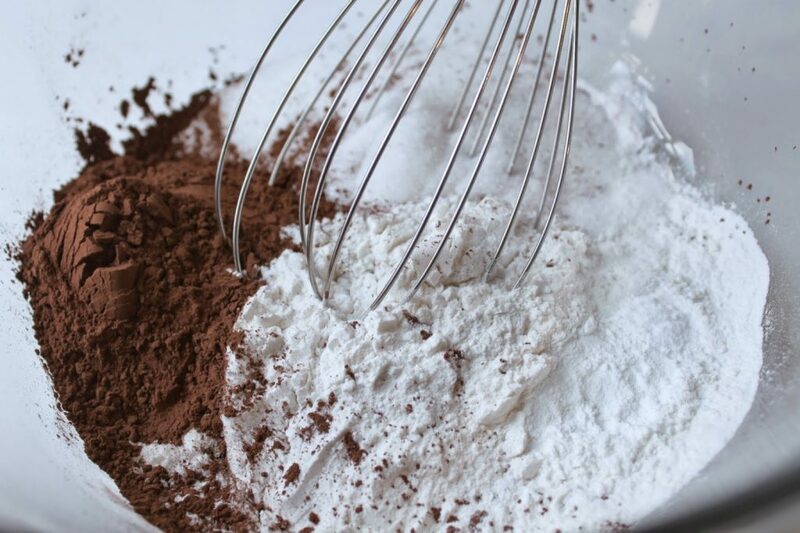 Combine the flour, sugar, cocoa powder, baking soda, baking powder and salt in a large bowl. Stir it all together with a wire whisk until you’ve gotten rid of all the lumps. In a separate bowl, add the milk, apple cider vinegar, oil and vanilla and stir them together with a fork. 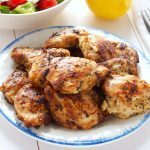 Pour the wet ingredients into the dry ingredients and stir it all together with a wooden spoon just until they’re combined with no large lumps. 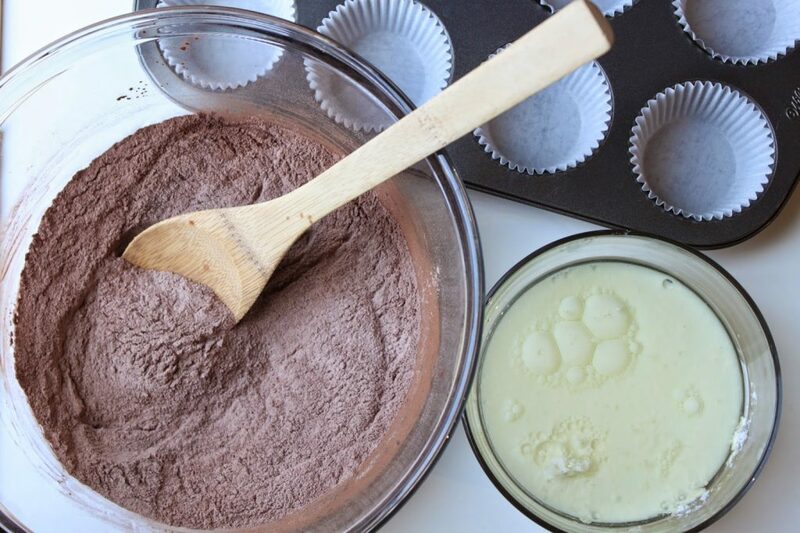 Divide the batter as evenly as possible between the 12 muffin cups (this helps the cupcakes bake evenly), until they’re about 2/3 – 3/4 full. Bake in a 350 degree oven for 18 minutes, or until a toothpick inserted into the centre of one of the cupcakes comes out clean. This cupcake recipe creates the ideal height for frosting to sit on top. And they’re the perfect combination of soft and spongy. Cool the cupcakes in the muffin tin for about 5 minutes before removing the cupcakes to a wire rack to cool completely. Melt 100 grams of high quality dark chocolate in a heat-proof bowl placed over a pot of gently simmering water on the stove. This is the perfect method for melting chocolate because it insulates the chocolate from the direct heat of the stove top. Use a spatula to stir around the chocolate pieces over the heat until everything is smooth and melted. Set the chocolate aside to cool to almost room temperature. 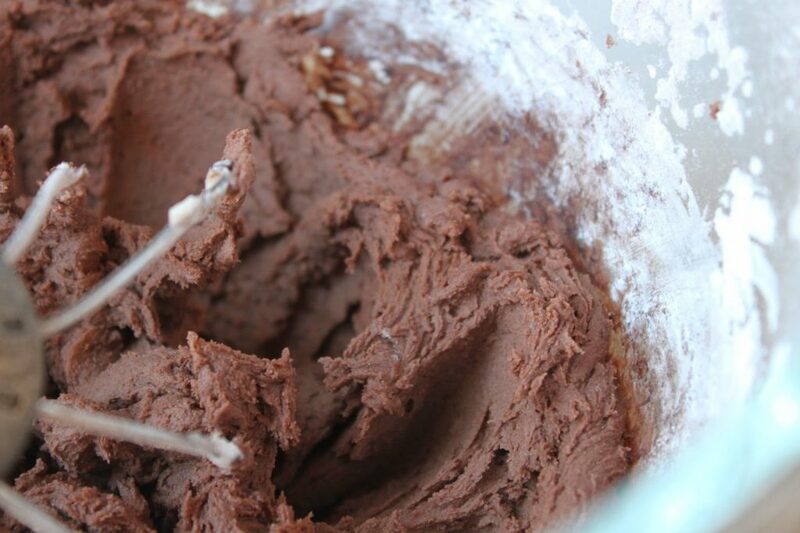 While the chocolate is cooling, add the room temperature butter to the bowl of a stand mixer fitted with a whisk attachment. You could use a hand-mixer if you have a powerful one, but I just use my KitchenAid mixer for everything. Whip the butter on medium-high speed until it’s smooth (about 1 minute). Add the powdered sugar and the cocoa powder. Start the mixer again and slowly increase the speed as the mixture begins to come together. 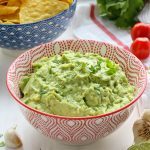 If it seems to be taking awhile, scrape down the sides and the bottom of the bowl. Once the mixture begins to thicken, add the melted chocolate but only if it has cooled to almost room temperature. 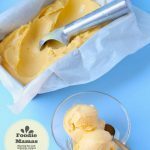 The texture of buttercream frosting is determined by the state of the butter. If you pour hot melted chocolate into a mixture that’s essentially 1/4 butter, you risk melting the butter and your icing will be too runny to spread or pipe. Beat in the chocolate and scrape down the sides of the bowl to make sure all the powdered sugar and cocoa powder is completely incorporated. This will leave you with a very thick frosting, so add the milk and continue whipping on high speed for about 45 seconds – 1 minute. If you’re not satisfied with the texture (it’s too stiff) add a bit more milk 1/4 tsp at a time until you achieve the consistency you’re looking for. 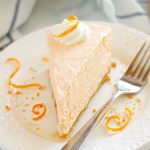 Again, the texture of buttercream frosting largely depends on the state of the butter, and “room temperature” is different in every home and in every season. If you want to whip it a little longer, feel free. This will add some air into the frosting and create a more rustic look, but the texture will be divine. Once the cupcakes have cooled completely spread some frosting onto each one or pipe the frosting in a circular motion using a piping bag and a 1-inch round tip (or any other tip your little heart desires…if you’re artsy that way). 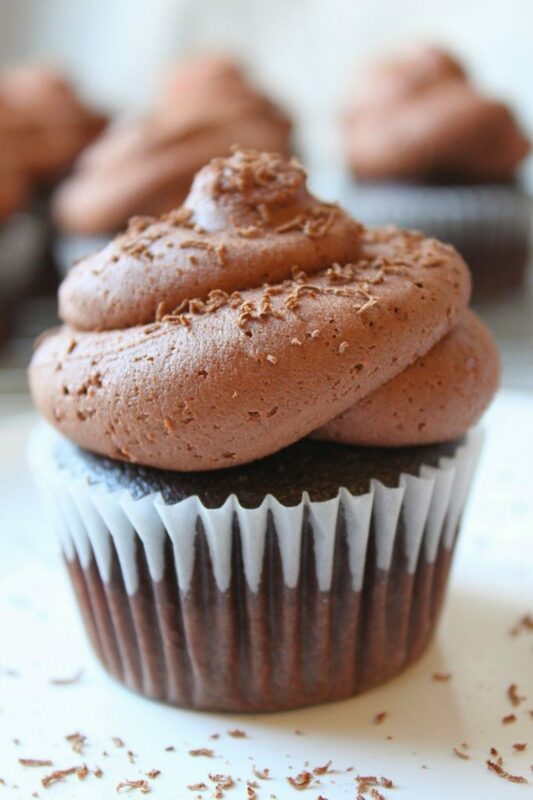 Using a microplane zester, shave some dark chocolate onto the top of each cupcake, and voila! I mean, it’s somebody’s birthday somewhere, right? So dig in! Want more chocolate desserts? You’ll love these delicious Chocolate Caramel Pecan Turtle Cookies or make some Healthier Slow Cooker Peppermint Hot Chocolate! This chocolate cupcakes recipe is not a healthy dessert option (as if you needed me to tell you that) so, proceed with caution. Or don’t, it’s up to you! But either way, they’re worth every single calorie!! I hope you enjoy this easy chocolate cupcakes recipe! 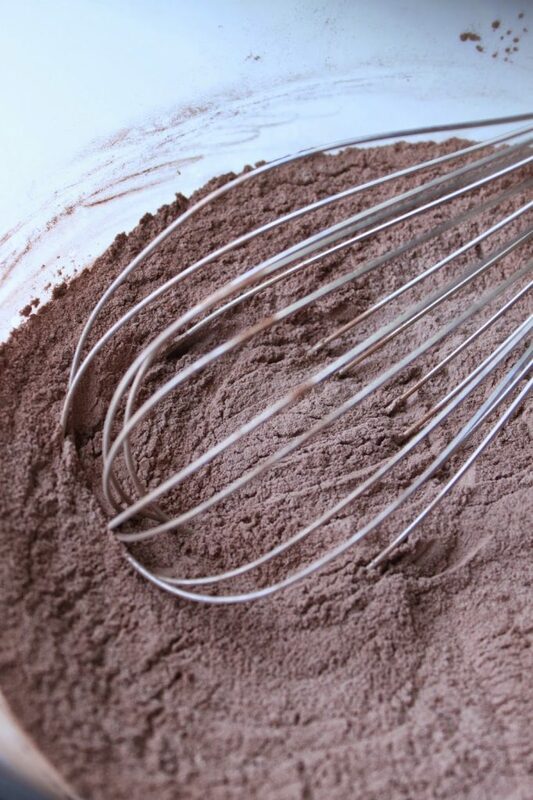 Combine the flour, sugar, cocoa powder, baking soda, baking powder and salt in a large bowl; whisk to combine. 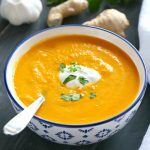 Pour the wet ingredients into the dry ingredients and stir it all together with a wooden spoon just until they're combined with no large lumps. 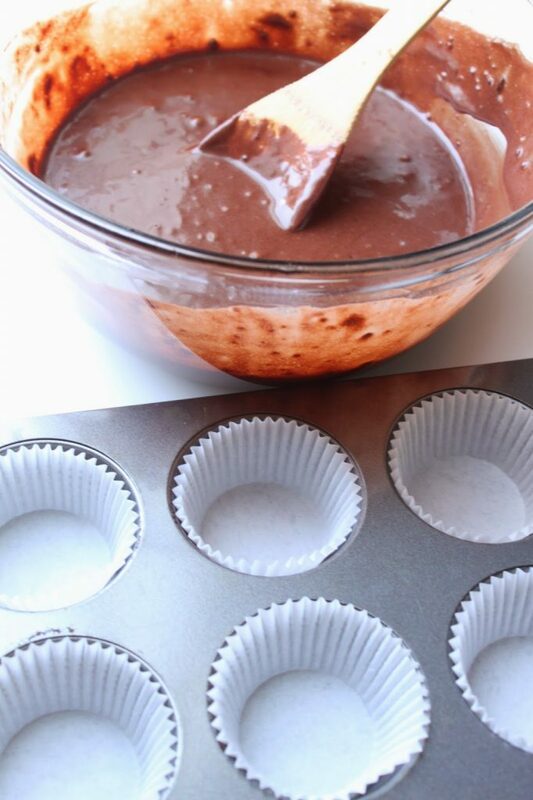 Divide the batter between the 12 muffin cups, filling each 2/3 - 3/4 full. 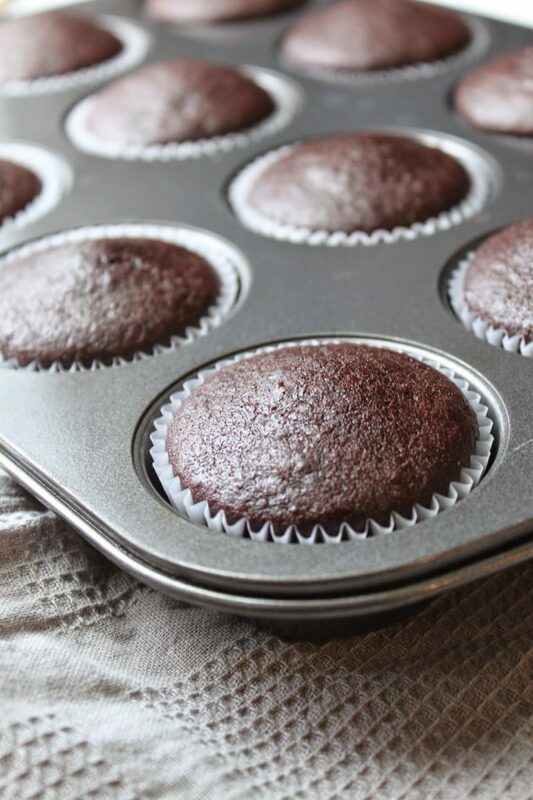 Remove pan from oven and allow cupcakes to cool in pan for 5 minutes before transferring them to a cooling rack to cool completely. Melt 100 grams of high quality dark chocolate in a heat-proof bowl placed over a pot of gently simmering water on the stove. 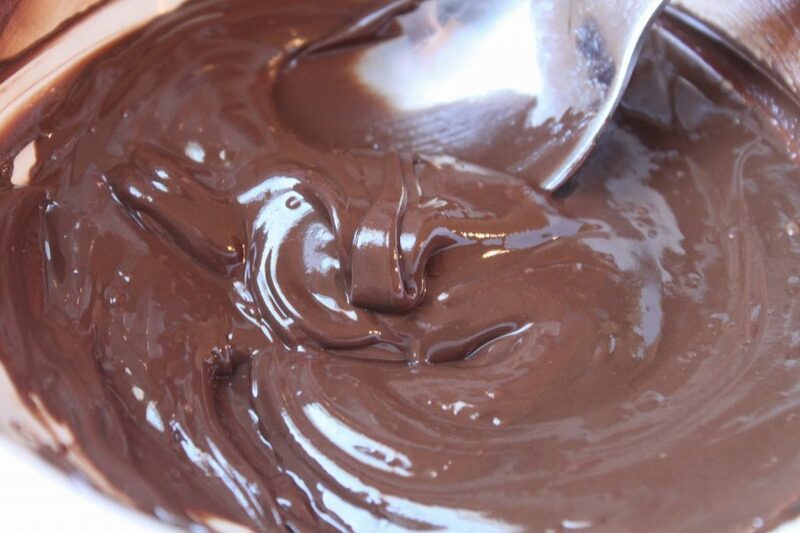 Use a spatula to stir around the chocolate pieces over the heat until everything is smooth and melted. 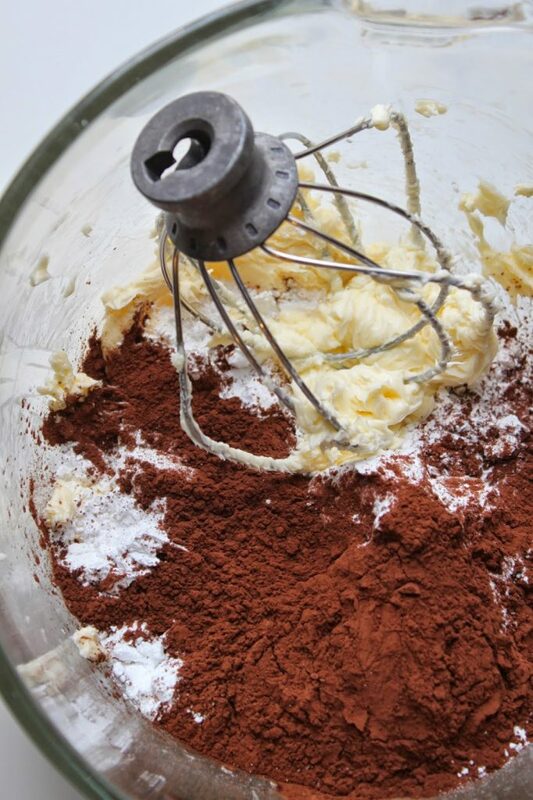 While the chocolate is cooling, add the room temperature butter to the bowl of a stand mixer fitted with a whisk attachment. Whip the butter on medium-high speed until it's smooth (about 1 minute). Add the powdered sugar and the cocoa powder. Start the mixer again and slowly increase the speed as the mixture begins to come together. Scrape down the sides and the bottom of the bowl as needed. Once the frosting begins to thicken, add the melted chocolate, but only if it has cooled to almost room temperature. Beat in the chocolate and scrape down the sides of the bowl to make sure all the powdered sugar and cocoa powder are completely incorporated. This will leave you with a very thick frosting, so add the milk and continue whipping on high speed for about 45 seconds - 1 minute. If you're not satisfied with the texture (it's too stiff) add a bit more milk 1/4 tsp at a time until you achieve the consistency you're looking for. Once the cupcakes have cooled completely spread frosting onto each one, or pipe the frosting in a circular motion using a piping bag and a 1-inch round tip. 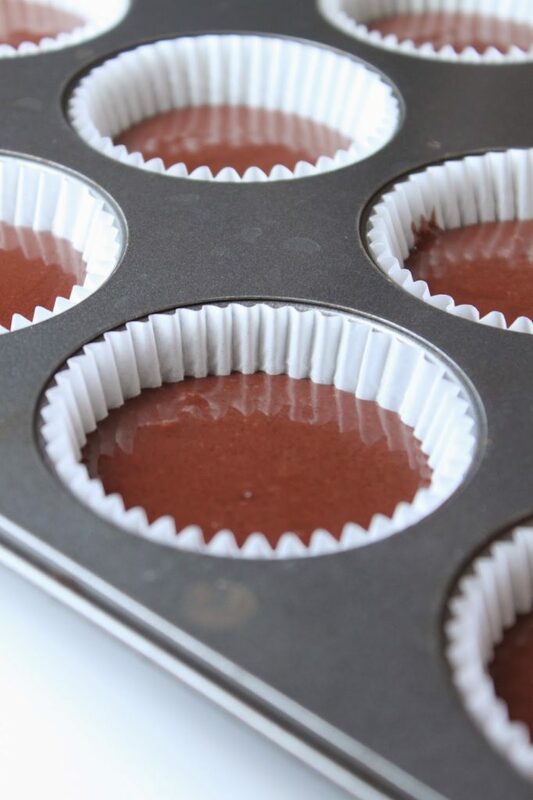 If desired, use a microplane zester to shave some dark chocolate onto the top of each cupcake. Oh these cupcakes look SO good…I want to eat that entire stack of icing…YUM! Umm….I'm one of those lock-yourself-in-the-bathroom-types…..looks delicious!